Club Laurier was an online publication and message board, founded in 2004. The site served as an extension of The Cord, celebrating and strengthening the sense of community on campus. In practice, Club Laurier was used as a public form where students could share information and experiences – first year room assignments, information on classes and professors, seeking roommates and more. With the onset of alternate online media like Facebook, Club Laurier became largely defunct in the late 2000s. The Phone Cord was a directory listing the phone numbers of students. In the days before the ubiquity of cell phones and social media, The Phone Cord served as a means by which student could connect to and communicate with one another. 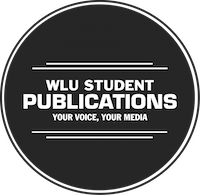 The publication faced some criticism over privacy issues, as students originally were opted into the phone listings by default. As landline use among students began to decline, so too did the usage and purpose of the publication. The Phone Cord was retired after the 2004-05 school year, though oddly, information on opting into the publication still remains listed on LORIS. The Book of Fred was a yearbook for first-year students in residence. With co-operation from Residential Services and LOCUS, the book was intended to replace individual residence booklets. Each residence had its own representative, who would collect photographs and information from their floor as well as assist with the book’s layout. The Book of Fred was published once, in the 2002-03 school year. The book was discontinued, and information on first-year residence floors was integrated into the Keystone.